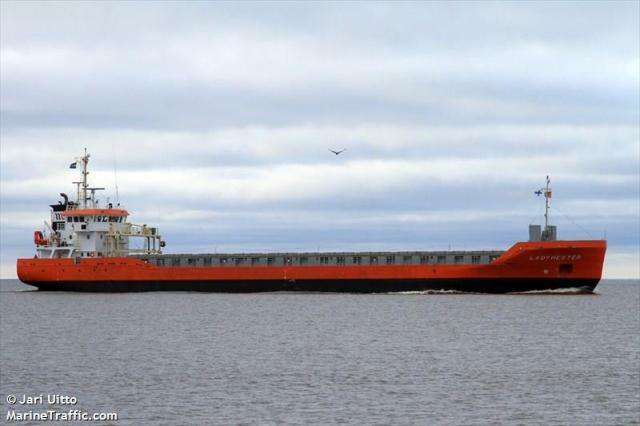 The 97 meter long general cargo vessel Lady Hester ran aground in the Ruotsinsalmi Strait near Kotka, Finland. The Lady Hester was en route to Halla from Rauma with lumber when it ran aground in dense fog. Authorities were alerted and multiple vessels were dispatched to the scene. The Lady Hester was able to refloat itself and was escorted by a tug to Kotka. No reports of injuries, damage or pollution released. The Lady Hester is to be inspected for damage while authorities investigate the incident.